There are two things on our mind as we land in New Orleans: food and jazz. It is just a quick taxi ride to our Airbnb in Tremé, a residential neighborhood of narrow, colorful wooden houses with tall shutters facing the streets. We fly into New Orleans on day 19 of our post-China leave and feel blissfully light with just one medium suitcase and a backpack each. On day 6, we arrived in New York laden with baggage and began shedding belongings immediately. We swept into Long Island, New York, DC, and left a trail of debris behind us, storing clothes with Amaury’s parents and a large suitcase and road bike with friends during a brief stop in DC. Encased, in its oversize, blue travel case, Amaury’s road bike was a promise of future rides along open trails and under clear skies; it was also a cumbersome, troublesome, worrisome weight to lug around. 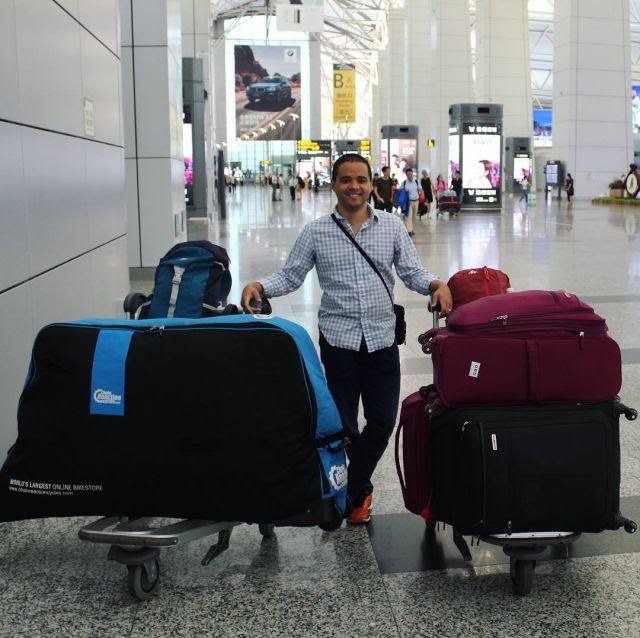 The sweet freedom of a reasonable amount of luggage can never be overstated. Our Airbnb is a bright green wooden house with high purple shutters, our room accessed through a side gate, down a spidery shaded path, round the back garden, and up some cement steps to our secluded, outside entrance. Cobwebs hang in all the corners, hopefully trapping the gliding mosquitoes we swat from our faces. Avery, our affable and helpful host, welcomes us and shows us our room, the common spaces, the garden, the many cats, and the shared bikes. We nod politely but only half pay attention, our minds on dinner. After thanking him and dropping off the aforementioned medium suitcases, we head straight to the French Quarter for dinner at the Kingfisher Restaurant. 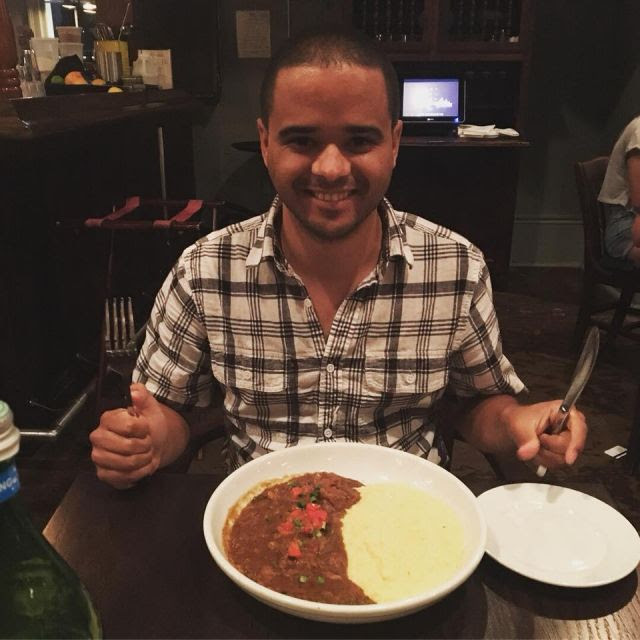 Amaury orders alligator, of course, and I have the shrimp and grits. Alligator tastes nothing like any meat we’ve had before- it is soft and a little gamey but overall delicious in a thick, brown gravy. 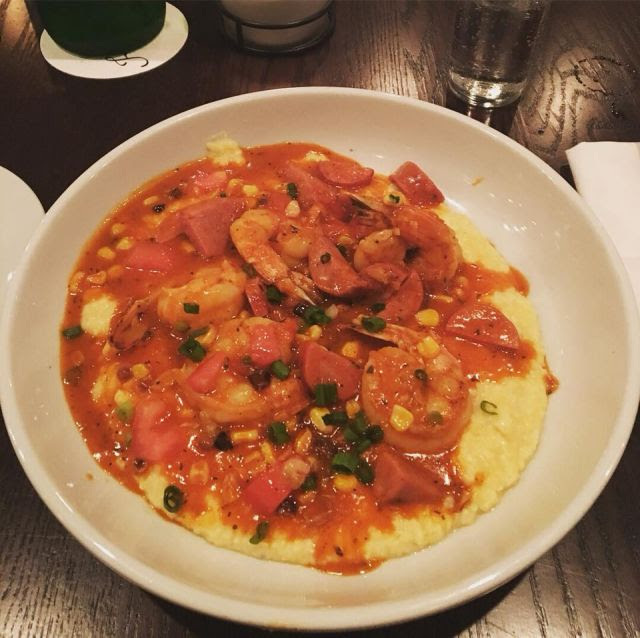 The shrimp and grits are spicy, warming, and messy as I pull apart the shrimp and try not to get sauce all over myself. 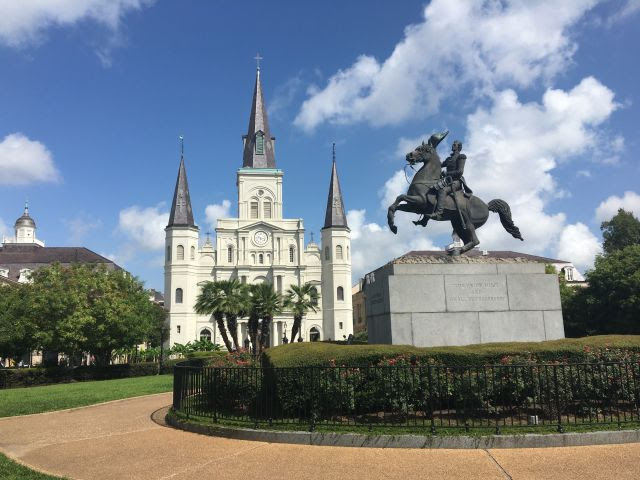 Heading back out into the French Quarter, we walk down Chartres Street to see Jackson Square. Music from street performers hangs in the night air, which is still warm from the hot day and humid but not oppressive. The St. Louis Cathedral rises up above the park, flagged by the Cabildo and Presbytère, the old city hall and courthouse now museums. In the middle of the park sits Jackson on a bucking horse, hat lifted to urge on long dead soldiers. Palm and tarot readers have set up tables around the park, some leaning over talking intensely to clients, others lolling back, smoking a cigarette or chatting with friends. I will return the following day for a session with one palm-reader who, after flicking her cigarette to the side, informs me that I could do with some more confidence, could probably sing better if I’d let myself, and that I should join a choir. Oh, and that I like to travel. Amaury thinks the whole thing is a racket but agrees with her assessment. The age of the square and its buildings surprises me. 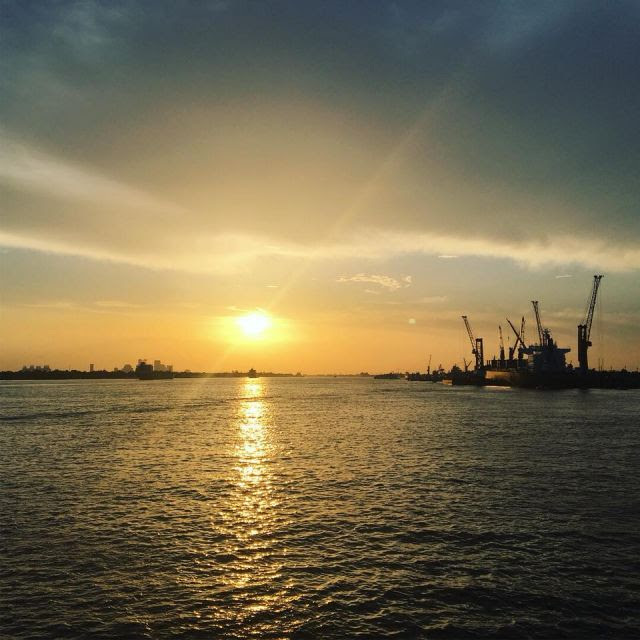 Unlike most places I’ve visited in the U.S., New Orleans is distinctly old, most of the buildings around us dating back to the 1700’s and the history of the port going back further still to when Native American tribes gathered there to trade. Twelve feet above sea level, the French Quarter has survived hurricanes and floods, even as recently as Katrina. Half way up the steps leading away from Jackson and the park stands a neon pink lighted sign, “300,” marking the anniversary of the city’s founding in 1718. We walk along the Mississippi for a short while, enjoying the view of the city lights playing across the gently moving water. Eventually, we double back through the French Quarter towards the infamous Bourbon Street. At 10pm on a Monday, we’re hoping it won’t be too busy, but still end up surrounded by people bar hopping and enjoying New Orleans’ open container policy. Our goal is, of course, to find some jazz. I’m a little fearful that today Bourbon Street is more boisterous and boozy than bluesy but entering the street we’re greeted by an old-timey hanging sign of a cornet that looks promising. Bourbon is a cacophony of competing sounds, live music punching its way out of every bar and mingling in a mix of rock, top 40 covers, funk, and faint traces of jazz. Amaury asks if we should go into a nearby bar, a sax wailing on top of electric guitar and heavy drums. Above the confusion, I hear a lone trombone soloing somewhere down the street to our left. Shaking my head no, I tell him I want to find that soloist. 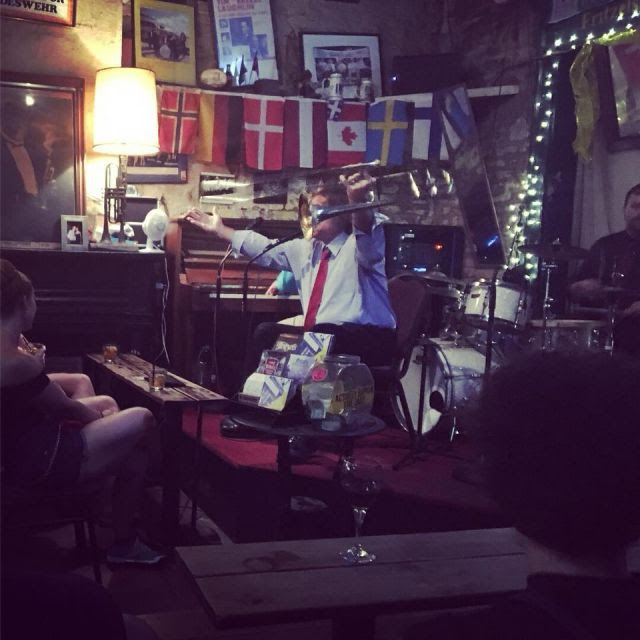 We follow the sweet sound to a bar called Fritzels and find the trombone just as he switches to singing in a deep and gravelly blues voice interspersed with expressive harmonica. A honky-tonk piano, upright bass, and drum kit take turns accompanying and soloing. The next day, we learn on our walking tour of the French Quarter that Fritzels is the only true, traditional jazz bar left on Bourbon. All we know in the moment is that the music is good, the beer is flowing, and there’s plenty of space to squeeze in for a couple hours and listen to some excellent music. 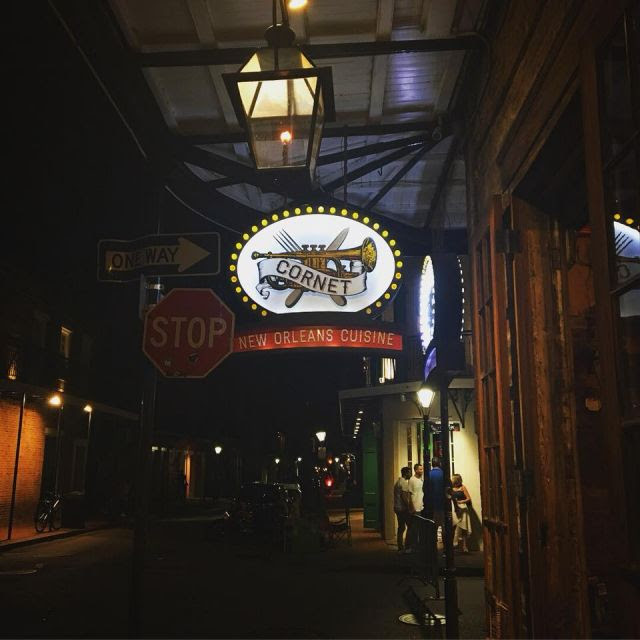 Our first night sets the tone for the rest of our time in NOLA: good food, good sights, good music. Wanting to learn more about the history of the town, we go on a few excellent walking tours through Free Tours by Foot. 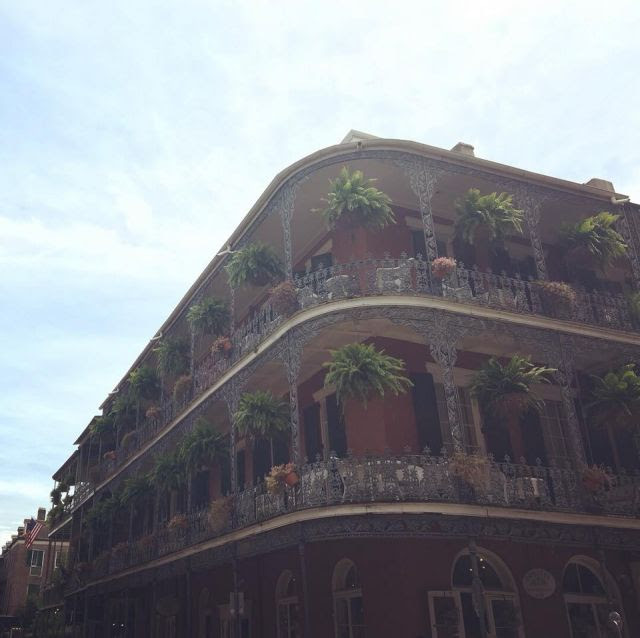 The first tour during a scorching and swampy Louisiana day, takes us through the French Quarter’s history. I skip a little of it to duck into the highly rated Spitfire Coffee for a delectable iced latte and a cold brew for Amaury. We round out the tour with a visit to the museum in the Presbytère that somewhat incongruously covers Hurricane Katrina on the first floor and Mardi Gras on the second. 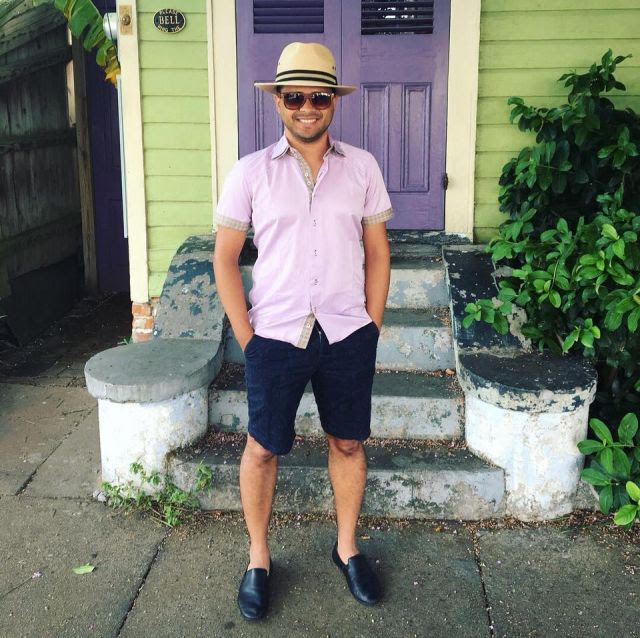 But, as we learn, New Orleans is a city that has lasted through fires and floods while staying true to its Cajun roots and Creole culture. 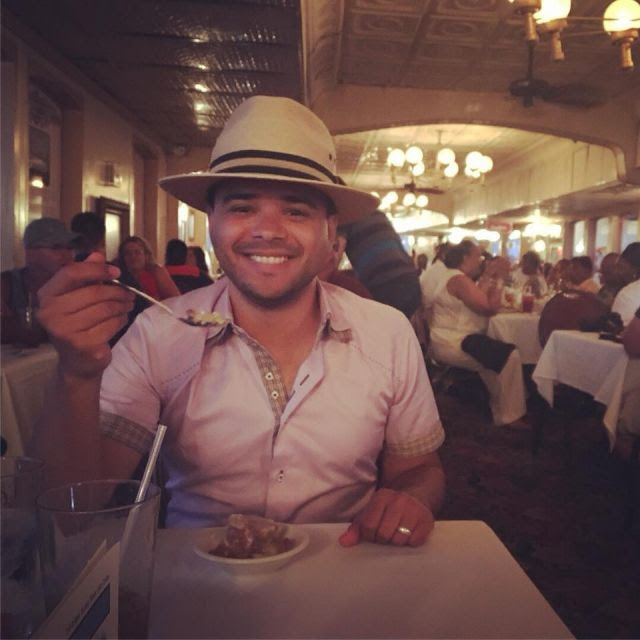 Its consistently diverse populations have intertwined over three centuries and created a deeply soulful place. It is a mix of Catholicism and voodoo, the somber and the joyous, the sinful and the spiritual. 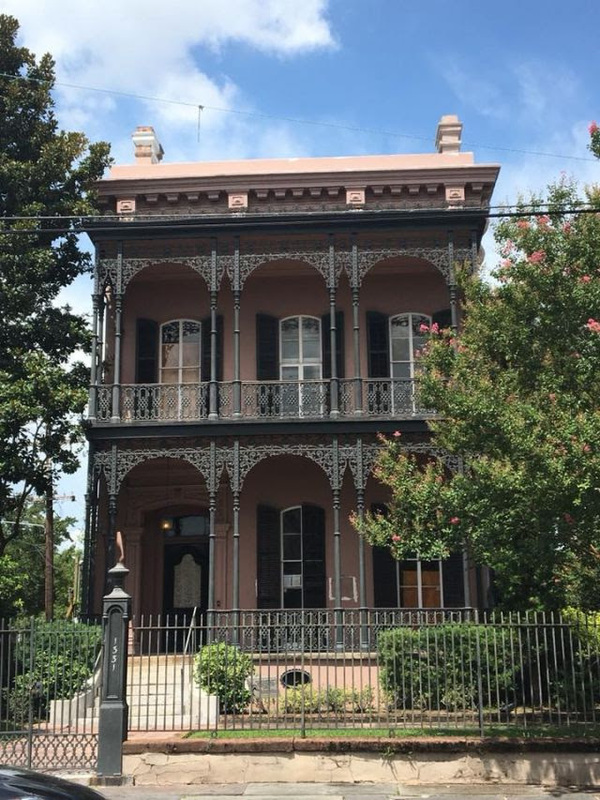 The following day, our second tour is a self-guided walk through the Garden District using guides and maps from the Free Tours website. We scrutinize famous peoples’ homes, including a house that apparently inspired the Haunted Mansion in Disneyland, and walk what feels like 100 miles in 100-degree weather. Our third and final tour later that evening is at much more comfortable temperature and takes us on a spooky foray into New Orleans’ hauntings and ghost stories. The creepiest true story? A stop by the horrific LaLaurie House, where Marie Delphine LaLaurie, an insane sociopath socialite, who, legend has it, tortured and killed tens of people and buried them below the building. 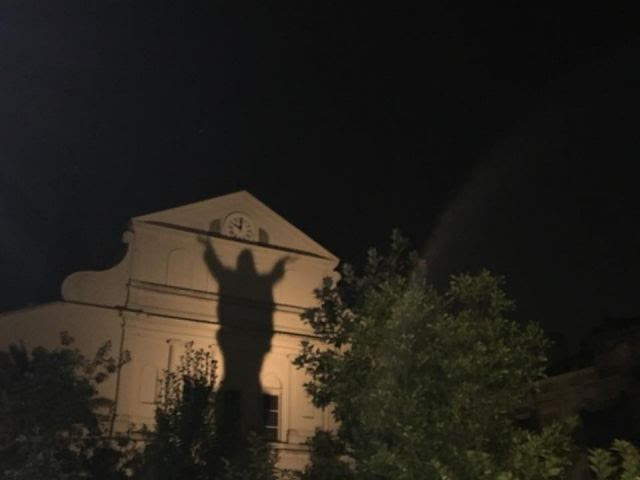 We end the night behind the Cathedral where we are greeted by the ghostly figure of Christ rising up on the back of the building. Pro tip- do not go on a ghost tour the night before an early morning flight, you will get home late and then barely sleep a wink! 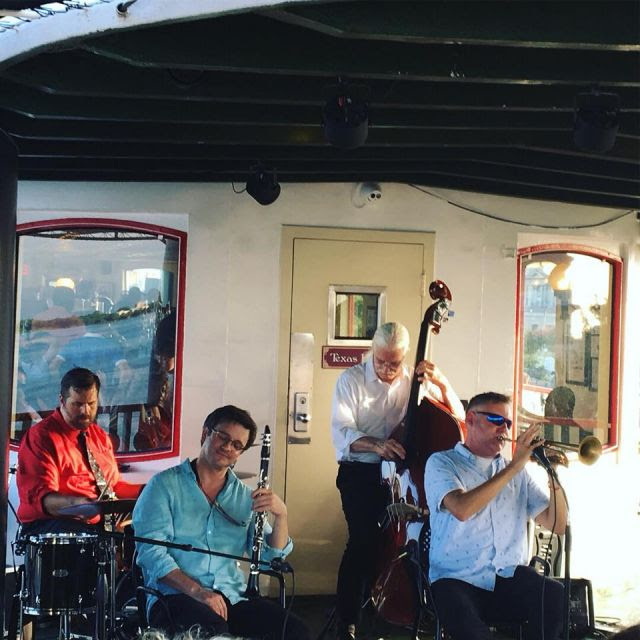 Another highlight of our trip is a dinner jazz cruise on the Natchez, a working steamboat built from original steamboat parts that used to chug along the Mississippi 100+ years ago. 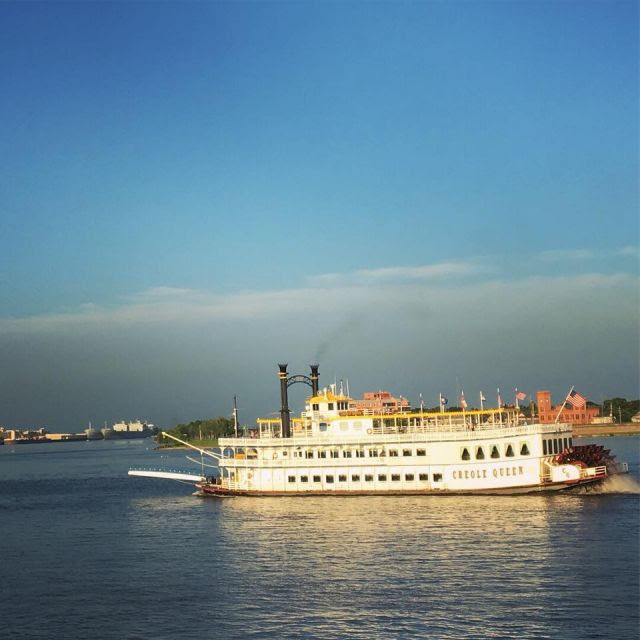 As we wind our way down the Mississippi, we enjoy some live music from the Dukes of Dixieland punctuated by occasional explanations of sights along the river. We explore the engine room with various museum-like displays and eat a massive buffet dinner complete with sweet tea, bread pudding, and bananas foster (I always focus on the most important part of the meal, the dessert). The cruise is a bit pricey at $86 a head, but we got a boat tour, a museum, a concert, and dinner. Worth it. Speaking of worthwhile pursuits, we also eat the most delectable beignets on our trip. 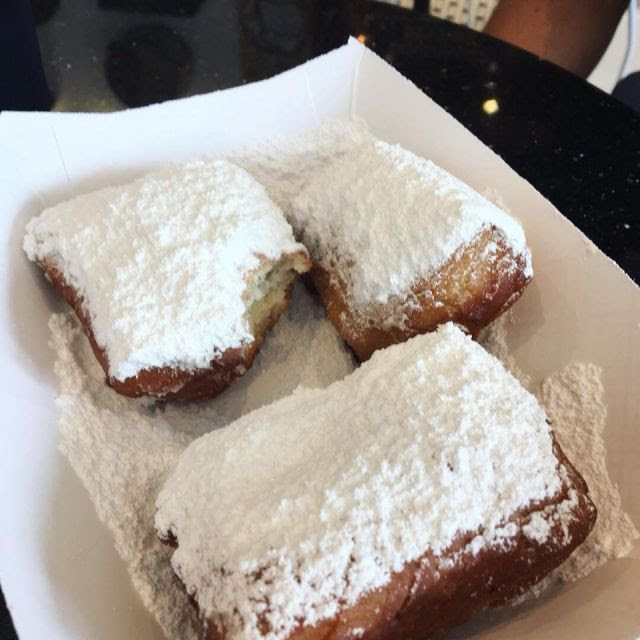 For the uninitiated, a beignet is a square, fluffy donut-like pastry that is fried (hence the deliciousness) and topped with powdered sugar. 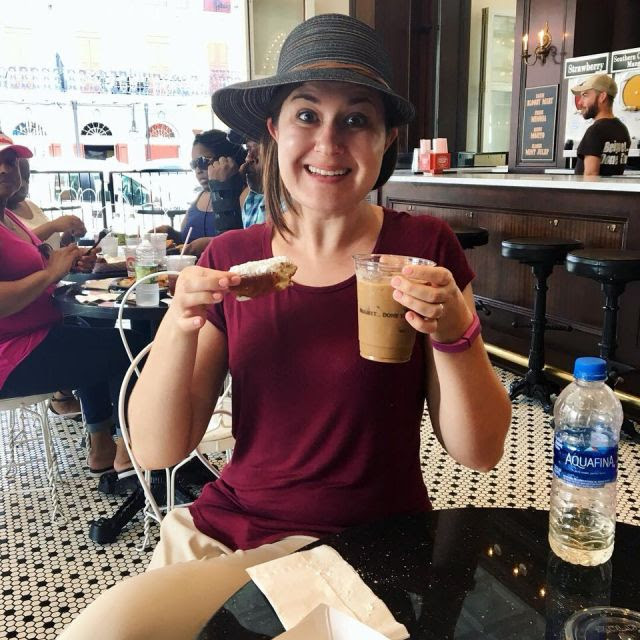 My favorites come from Café Beignet near to where the Natchez is moored, but Café du Monde’s are good as well, just perhaps a bit over-rated in my humble opinion as a beignet connoisseur. Thank goodness we only have three nights and two full days in New Orleans before, because at the rate we’re going we’re putting on at least a pound a day. We leave with hearts and bellies full and with a promise to come back soon. At just a couple hours away by plane from our new home in DC, we’re already planning a glorious return trip.